Each province has its features to impress visitors; Tay Ninh Province is in the same case. 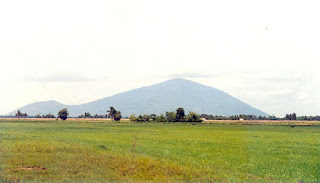 Remind to Tay Ninh Province, Ba Den Mountain; Tay Ninh Rice Papers and Tay Ninh Salt that the things people know about firstly. Beside, Tay Ninh Province is near to Ho Chi Minh City, so it is convenient for all who have idea to explore this charming province. Tay Ninh Province locates in the South East of the country. It is bordered with Ho Chi Minh City and Long An Province to the south, with Binh Duong Province and Binh Phuoc Province to the east, with Cambodia to the north. 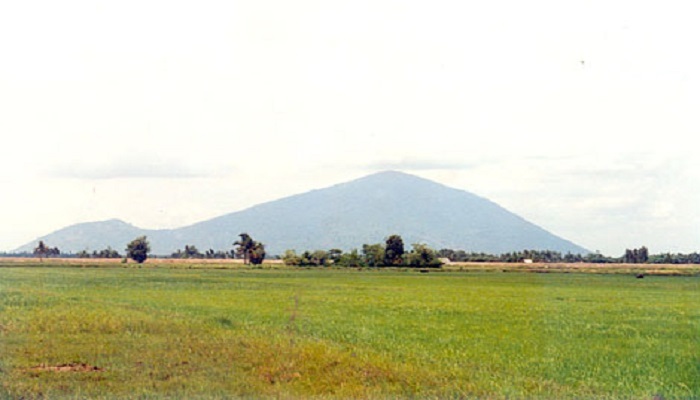 Districts: Tan Bien District, Tan Chau District, Duong Minh Chau District, Chau Thanh District, Hoa Thanh District, Ben Cau District, Go Dau District and Trang Bang District. Tourist places: Tay Ninh City and Trang Bang District. Climate: Tay Ninh Province is in the position that considered the connection between the highland and Mekong Delta, so there is the mild climate in the province. There are the rain season from May to November and the dry time from December to April. The average temperature is form 26 to 27 C degree. Population: There are the main groups who living together in the province such as Kinh people, Khmer, Cham and some other ethnic groups. Revolutionary Base of the Central Committee Department for South Vietnam: Situated 64 km from Tay Ninh Town, this historical site is the revolutionary base of South Vietnam during the resistance against the American. On the base, there are the residences and offices of former South Vietnamese leaders, such as Pham Hung, Vo Van Kiet and Nguyen Van Linh. Tay Ninh Cao Dai Temple: 4 km east of Tay Ninh Town, the Cao Dai Temple situated in the 1,000-m2 campus is a famous complex that was built in about 1926. The most interesting building in this complex is the Great Temple, which was designed according to the architectural requirements of the Cao Dai Sect. The construction is a harmonious architecture of Asian and European styles with domes and decorative patterns expressing the spirit of the religion. In the complex, there are also other buildings, such as the Chanh Mon Gate, the four towers, and the Mother of Buddha Temple. In addition, there are many unusual flowers and decorative plants in Ba Hue Garden. The largest annual festival is the Dieu tri Kim Mau Festival (on the 15th of the 8th lunar month). It attracts thousands of people from many other provinces of the country. Furthermore, we can visit Long Hoa Market, the biggest market in Tay Ninh, situated just a few kilometers from the temple. Ba Den Mountain: (Black Lady Mountain) Located 11 km northwest of Tay Ninh Town, Black Lady Mountain is high 986 m high above sea level. For many centuries, Black Lady Mountain has been the worshiping place of the local habitants. On the mountain, there is Van Son Pagoda. Climbing up the mountain, we can see Cau Mountain to the east and the Heo and Phung Mountains to the northwest. Besides, there are many caves scattered in the mountain. Besides climbing, we can get to the mountain by cable car. Dau Tieng Lake: Dau Tieng Lake is located 20 km from Tay Ninh Town, on the way to the Cao Dai Temple and Black Lady Mountain. The lake covers 27,000 ha and contains of 1.5 billion m3 used for irrigations in Tay Ninh Province, as well as for other neighboring provinces. The surrounding landscape near by Dau Tieng includes beautiful mountains and natural islets. The atmosphere is fresh and pure. Ba Den Mountain Spring Festival: (15-18th of the 1st lunar month). Ba Den Mountain Festival is a very popular and joyful celebration that takes place in the spring, after the New Year, when the weather is still nice and vegetation is in blossom. Many pilgrims come to the festival to pray and enjoy sightseeing. There are different local specialties in the province such as bánh canh Trảng Bàng (Trang Bang noodle soup or called Vietnamese udon noodle soup, bánh canh Trảng Bang cooked in southeastern style by people in Trang Bang District with local rice noodle, boiled pork and local herbs), types of rice paper, salt with crushed shrimp, nem bưởi (a type of vegetarian fermented roll) and other typical specialties.